Winners of Berkley round 8 or Series 9 were Luke Rogan (first), Tyson Hayes (second) and Glenn Allen (third). BERKLEY round 8 of Hobie Kayak Bream Series 9 took place at Port Macquarie, on the New South Wales mid north coast on 10 -11 June. 47 anglers from Queensland (Qld), the Australian Capital Territory (ACT), Victoria (VIC) and New South Wales (NSW) headed to one of the series’ favourite locations to compete on the Hastings River system. On both days anglers headed off from the Power Pole starting line in Kooloonbung Creek, which is situated close to the river mouth. The forecast was for the heavy showers, however the rain eased on both mornings of the tournament and anglers started under very heavy, low cloud but, fortunately, no rain. As Saturday morning progressed it became very wet, with an icy breeze and the air temperature well below predictions. The water temperature sat around 20 degrees Celsius, and while it was uncomfortable for anglers, the conditions were ideal for a good bite. Sunday looked ominous with heavy rain falling as anglers prepared for the day, but midway through the 6:30am briefing the rain eased and patches of blue began to appear. There remained a reasonably widespread cloud cover, but the wind fell away, and the bite became slightly tougher to entice than it had been on day one. Forty-seven anglers competed in the Port Macquarie event. Both days had fantastic starts, with up to 20 kayaks headed up the left channel towards the moorings, marina and an alternative course to the punt that crosses the main channel. The rest of the field headed out into the main channel of the Hastings, some stopped to hit the rock wall that lines the north-eastern side of the river mouth. The majority who headed in that direction used the stronger flow, of the incoming tide, to assist them in the 20 to 30minute pedal up stream to Lineburners Creek and the back lake, with their oyster racks, poles and paddocks. Just a few competitors headed into the small canal system lined with rock walls, wharfs, floating pontoons and boat hulls, in the end this proved to be a wise choice. The pre-fish reports of plentiful fish and a good bite were confirmed with many anglers bagging out with four fish on both days. Luke Rogan made the long trip down from Queensland worthwhile with a convincing win in this round finishing with a day one bag of 2.89kg that took him to the lead of the field, followed up with 2.87kg on day two, giving him a two-day bag total of 8 fish for 5.76kg. He took home an excellent sponsor prize pack and a cash payout of $1440 for his efforts. 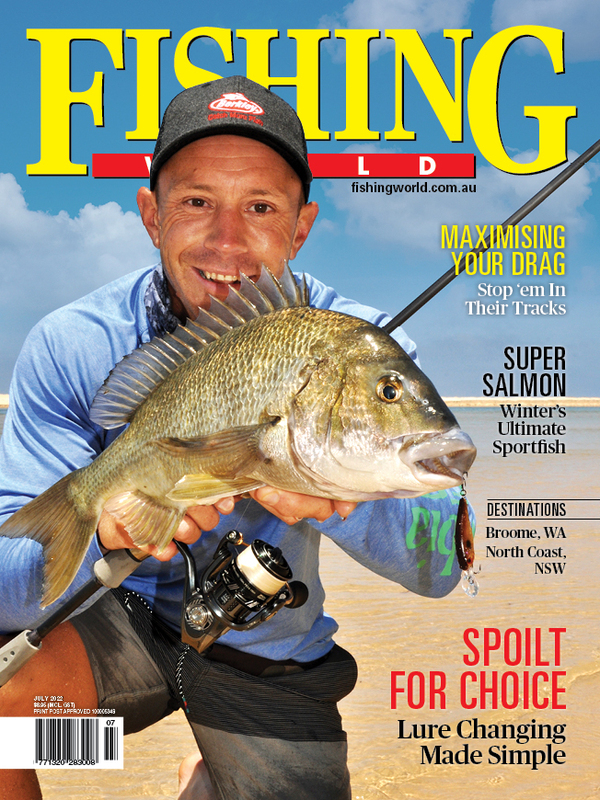 He also gained a place in the Australian Championship in Western Australia and accumulated 100 Angler of the Year (AOY) points. Other placegetters were Tyson Hayes (second) and Glenn Allen (third). Full results can be accessed HERE.